Yes, I Am Slam. Slam, I Am. Lots of ways to say it but it adds up the same. I have discovered an identity that suits me. More than that, I have discovered an identity that IS ME. 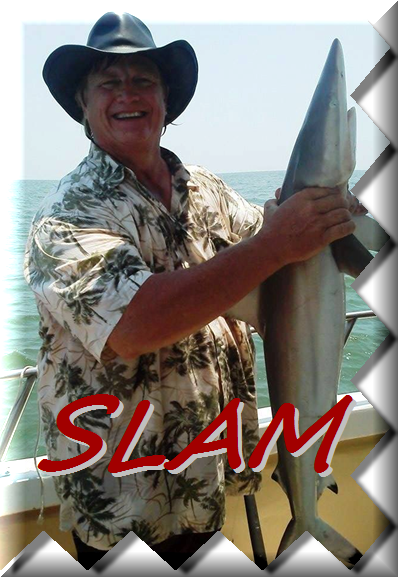 So, it is popularly known that I am Slam. But what is not well known is that this is a nickname from earlier in my life. A nickname that I creatively resurrected to be my marketplace image. And that leads me to the point of this writing. Creativity is often viewed passively. It is viewed as something that either you have or you don’t. It is even looked at, as something that just sort of happens to you. The point of this writing is to point out the little announced and seldom known fact, that creativity is often discovered. It is “unearthed,” as I did my nickname. Which leads me to my first point. 1- You may be more creative than you know. My son is a prime example of someone who triumphed over his circumstances to win in life. As a child and youth, he learned of learning challenges. But instead of “Oh Me” acceptance of this as a negative name tag; he went to work changing his challenges, into his advantages. He learned how he learned. He made an art of maximizing the advantages of his unique condition. He learned that it was not that he was slow but really that his inner psyche lead him to process everything into long-term, versus short-term memory. Therefore it took him longer to learn but when he learned, it was really learned stronger and more permanent. He sought alterations in his learning environment to address his uniqueness. He saw that the classroom was designed for short-term learners and discovered how he could not only learn in this environment but excel! Which leads to my next point. 2- Your differences may just be your advantages. Many people with accelerated gifts actually were like my son; they were just wired differently. We have learned of the incredible mathematic talents of some of the autistic. Their disadvantage was really an indicator of another advantage. Many Mensa Savants were once looked at as unusual, because they had gifts others could not understand. Sometimes, modeling people with creative tendencies can bring out your own. Mike Cross and his Appalachian Fiddle makes me feel whims and notions that were not present only moments before. Ray Stevens could make a rock laugh and is a sure medicine to spark my creative tendencies. I have a local lawyer friend, Ed Lewis, who for his 70th birthday pondered the correct social order of unicorns. He fires up my creative side, just to be around him. So point #3. 3- It may benefit you to have Creative Mentors. 4- Think of Angles that may help you grow. 5- Develop a Solution Minded Creativity. 6- See how it’s better to be like river than a swamp. 7- Think of ways to turn your liabilities, into assets. 8- Celebrate the Uniqueness, that is YOU! 9- Broaden your tools of expression. 10- Embrace your Realization Moments, with heightened consciousness. Embrace Inspiration & Develop Your Own Originality & Creativity! This entry was posted in Face Page, Faith & Inspiration, General Subject Posts, Slamism and tagged creativity, learning, Mike Cross, ray stevens, Slam, Slamism. Bookmark the permalink.